RIM has lost a patent case against Nokia and will have to reach a new royalties deal or potentially have the sale of their devices halted. 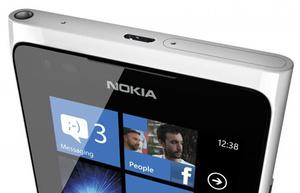 The ruling states RIM can not create or sell any device that connects to Wi-Fi using WLAN (wireless local access network systems) until they have reached a licensing agreement with Nokia. "RIM is liable to pay royalties and damages to Nokia for its...sales of any subscriber terminals (handsets or tablets)...compatible with the WLAN standard," read the ruling, from a Swedish arbitrator. "RIM has not contested that it manufactures and sells products using WLAN in accordance with Nokia's WLAN patents." The ruling is huge, for both companies. All BlackBerry phones support WLAN, and RIM can certainly not afford to have an injunction on any of their devices, even for a short period of time. Nokia, on the other hand, has been looking to increase their patent licensing revenue as their smartphone sales remain sluggish. Notes Alexander Poltorak, chief executive of patent consultancy General Patent Corp: "The arbitration decision is not appealable and the U.S. Court can be expected to enforce the judgment by issuing an injunction against RIM, which would effectively put RIM out of business. "RIM has only one choice now - to license Nokia's patents. It should be a quick process. No substantive issue will be re-litigated. The U.S. court merely needs to enforce the verdict of the Swedish arbitration tribunal."